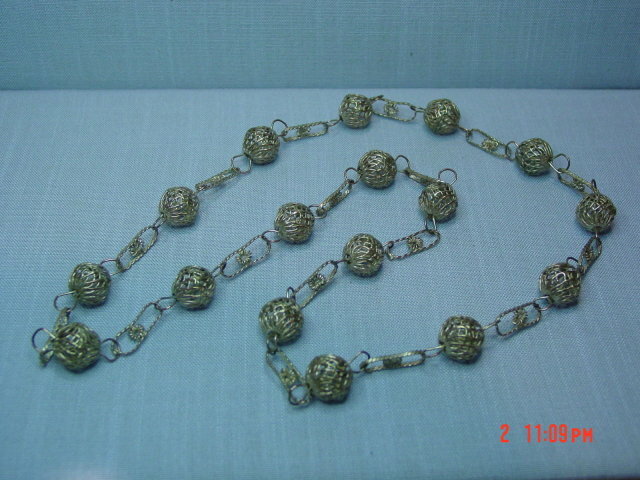 Vintage 32" long silver necklace made in Guatemala. 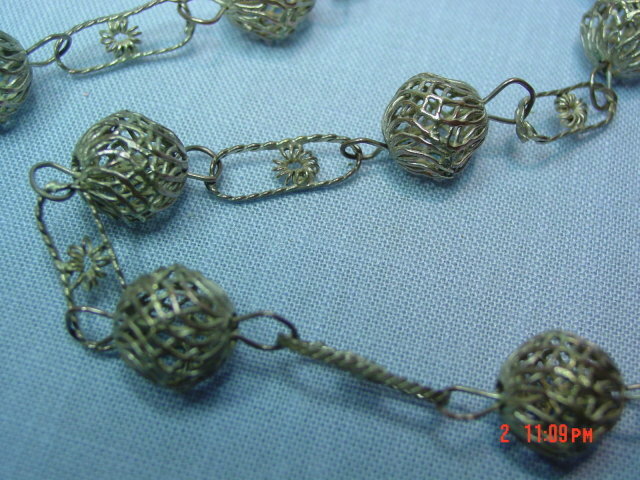 It has 17 1/2" silver filigree balls connected by 3/4" links. I believe the metal in this necklace is a base metal, perhaps with some copper in it. 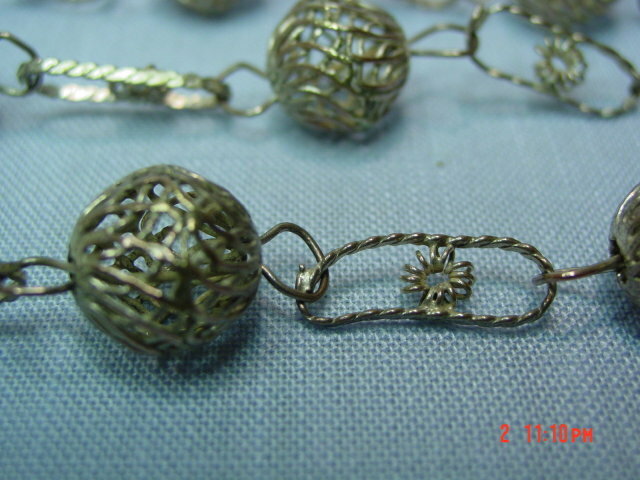 Items Similar To "Vintage Guatemala Silver Ball Link Necklace"